We love our chickens and I can’t really imagine not having them*. Above is PudStar caught again, stealing the chook food, becuase clearly we don’t feed her. I’ve had chickens since I was tiny – Fluffy and Duffy were the cutest silky bantams there ever was. 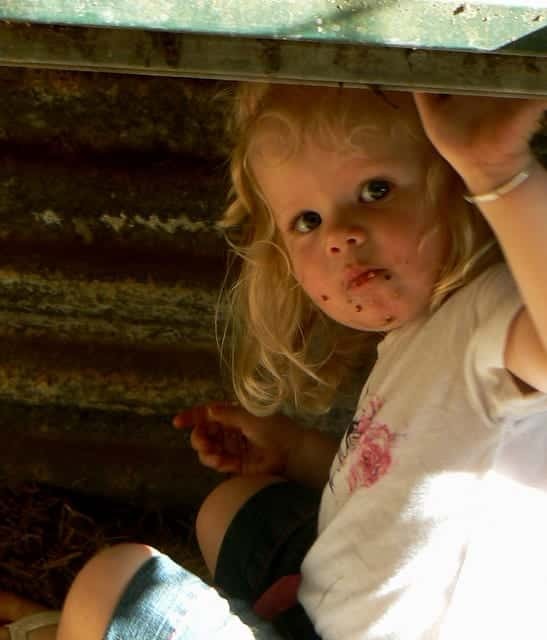 My grandparents had a chicken farm and I adored the new baby chicks that came on the big trucks. When I found out the little fluffy things were to be eaten I went right off them, and went more for cows…which as it turned out were also to be eaten. I then turned vegetarian. I came round to the idea of the chickens being eaten when I was about ten and was offered cold hard cash to help with manure and the like. It’s amazing what you’ll do for cash. 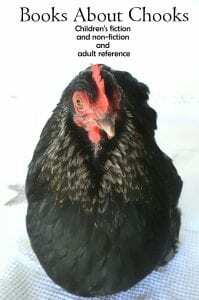 Nowadays I’ve given up on Silkies and Frizzles and spotty Speckled Sussex and gone for your regular cross bred laying hens, which lay eggs pretty well without worrying too much about grain mixtures, being clucky or rain upsetting them. For introducing children to the world of the chicken and the whole egg to chicken/chicken to egg concept I like ‘From Egg to Chicken’, a great non-fiction title to start the ball rolling. 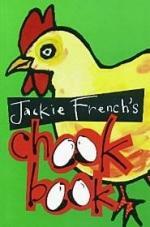 Without a doubt my all-time favourite ‘reference’ book about chickens is ‘Jackie French’s Chook Book’. I buy this book for friends entering the world of chickens. 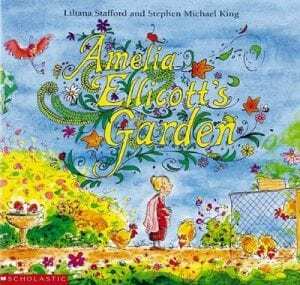 Jackie French is the author of upwards of 120 children’s/YA/adult/gardening books and you can read more about her here. Although this is non-fiction and you can just flick to the part you want…she is such a great writer that you will find yourself reading the entire book. It details everything from egg problems to health problems, and you leave the book feeling like if everyone had a few chooks, the world would be a happier place. This is Bob Graham at his very finest. Caitlin’s dad rescues Queenie the bantam from a pond and brings her home. Her new family fall in love with Queenie, and then one day they discover where she came from. Caitlin sadly returns her to the local farm, but the story does not end there. Bob Graham does families in all their ordinariness so WELL and I love him for that. There is always chaos and piles of clothes, and a lovable dog. If you love dogs, you must read ‘Let’s Get a Pup’ which makes me want to drive straight to the RSPCA…read my review here. Peggy is the perfect chicken. She is adventurous and plucky and just plain delightful. Every day she plays in her yard, until one windy day she is BLOWN away. The book trailer says it all…watch it here in my full review. 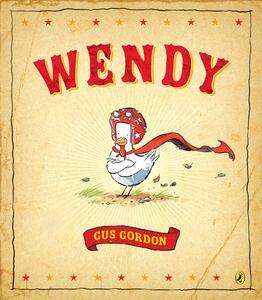 Wendy doesn’t want to be just any old chicken. For the very young this is just gorgeous. It tells the tale of a young boy going out in the evening to shut the chickens in and finding that one is missing. Ann James pastel illustrations are exquisite. 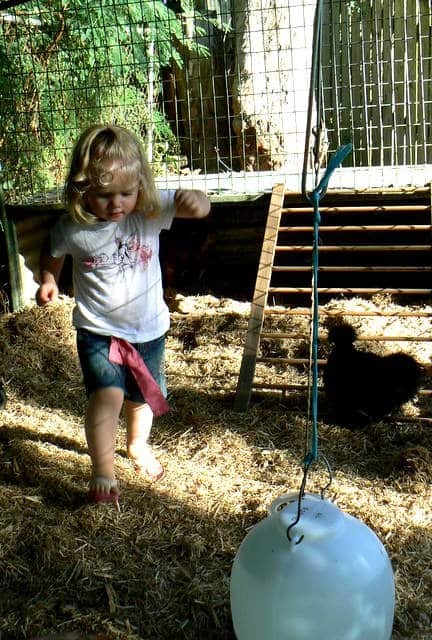 Amelia Ellicot is immensely proud of her prized Pekin bantams, which are the colours of sunshine and marigolds. Love this book! Stephen Michael Kings is a champion chicken illustrator. You can read my full review here. 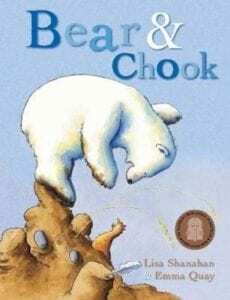 Bear and Chook is a lovely story of friendship and of adventures. 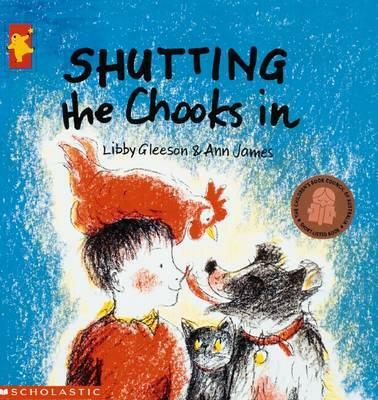 Though strictly speaking this is not a book about chickens, ‘Chook’ is one of the loveliest chickens I have ever met. I can recite the text of this book without any need to look at the pages. It is beautiful as a read aloud. This is one in the Aussie Nibbles series, which I think are perfect for those starting out on chapter books. Freda the chook is exceptionally bored with life in then henhouse. 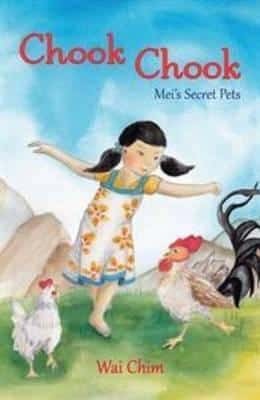 She plans to see the world and have adventures…but sometimes too much adventure can be a very bad thing.This is delightful tale about a personality filled chook. A step up in reading age and ability is this book in the Aussie Bites series. Chris has a lovely new chook pen, with ten chickens. His favourite, Happy Harry just isn’t pulling her weight and dad is keen to get rid of her (I know how he feels). Can Harry save her? Read my full review of this great series here. That cake is amazing…even more impressive that you created it without the guidance of a book! Thank you again for the book suggestions…I am going to look for all of them when we next visit the library! You’ll be pleased to hear that Jackie will be doing a 5.30pm session at Ipswich Central LIbrary on sustainable gardens and chooks on Tuesday 10 September as part of the StoryArts Festival Ipswich!! Oh Jen!!! I am SO happy you told me this!! I’m sticking it my diary NOW! I’m so glad I found your blog Megan! 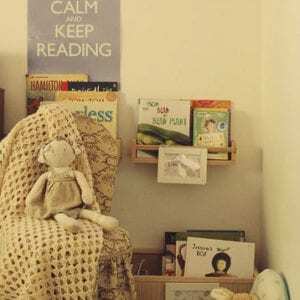 I support a reading room on a small island in Fiji and I’m always looking out/hand-picking books for the children’s reading room. 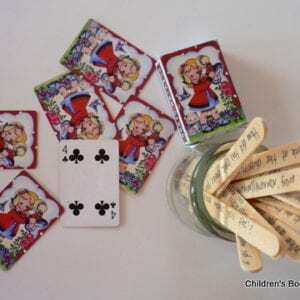 I’ve bookmarked these ones for my next round of ordering! Oh! Where do you live? I am always on the lookout for new groups to send books too. That chook cake is A-mazing!!! We had our chooks free range in the whole front & back yard but finding them destroyng my veggie patch & flower gardens every single day was doing my head in! So we compimised, the chooks now have the whole back yard & I have the whole front yard. Now, I am no longer chasing them a broom & all is well! LOL! The chook cake had some issues. The head had to be stuck on with skewers! Yes my chooks destroy EVERYTHING so I now just let them out each afternoon!!!! That cake is awesome. I can’t wait to see if the library has some of your book recommendations Eve is a huge fan of DEES (birds of any kind). We’d love chooks are actually ducks here but I think that might be a couple of years away.